The pristine turquoise water and near-constant beautiful weather of Paradise Island make for some of the best snorkeling conditions on the planet. The waters surrounding the Bahamas are home to magnificent coral reefs that have been growing for 10,000 years. During your Caribbean getaway, head out on a Paradise Island snorkeling excursion and peer beneath the crystal clear waters to see for yourself! With a variety of breathtaking reefs and shipwrecks within minutes of Paradise Island Beach Club, your Bahamas winter vacation will be extraordinary. If you’re interested in experiencing this incredible natural resource, read on and learn all about Paradise Island Snorkeling. Duck beneath the gentle waves and you will discover an underwater world of vivid color and brilliant life. As diving enthusiasts and regular snorkelers know, Paradise Island is home to some of the best locations for viewing the gorgeous ocean features. A winter Bahamas vacation to Paradise Island Beach Club with give you incredible access to all of Nassau’s best reefs. Head three miles east from the island and find yourself at Rose Island Reef. A leading feature that makes this reef stand out above the rest is the ideal depth. With waters more shallow than most, this Nassau area reef allows snorkelers to get right up in the action. 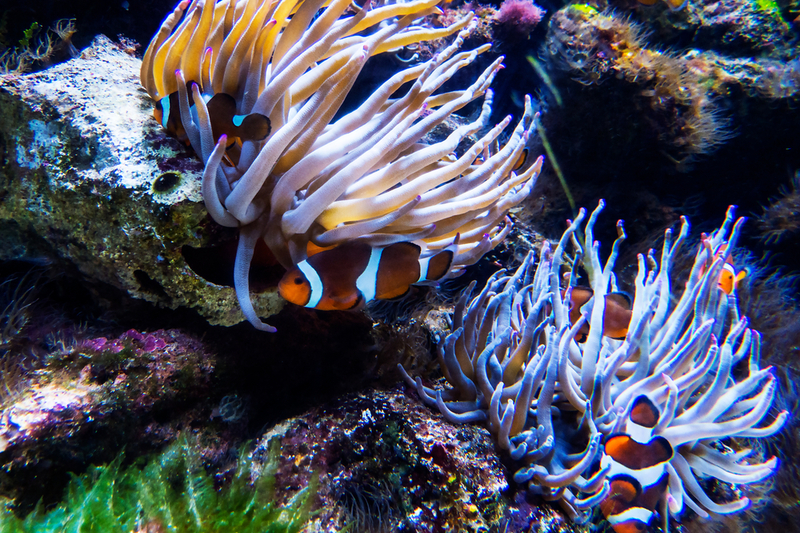 Glide past incredible formations and experience what its like to swim with schools of brightly-colored saltwater fish. Rose Island Reef also offers fantastic views of two large shipwrecks that now play host to an abundance of tropical marine life. Another excellent Paradise Island snorkeling location is Gambier Deep Reef. As the name suggests, this beautiful reed is deeper than the shallow Rose Island Reed. Gambier Deep Reef is located about ten miles from the heart of Nassau and has an approximate depth of 80 feet. While the reef is much deeper than others, the upper portion is just as accessible and beautiful as in other locations. Take advantage of the excellent visibility and gaze down the length of the formations. There are many ways guests can choose to experience Nassau snorkeling, one of the best being the Bahamas Divers Snorkeling Excursions. Head out to the best Paradise Island snorkeling spots with the expert diving guides and receive one-on-one instruction. The experienced divemasters and instructors are devoted to showing you this incredible part of Nassau and will provide you with an unforgettable experience. Take advantage of the supplied equipment and expertise! Bahamas Divers Snorkeling Excursions even offer transportation to and from your Paradise Island Beach Club accommodations! Book a Bahamas winter vacation to Paradise Island Beach Club and get ready to enjoy every aspect of this incredible island paradise. Relax with the variety of luxurious amenities and take advantage of the remarkable natural features of this oasis. Whether you’ve witnessed the beauty of a coral reef before or not, a Paradise Island Snorkeling adventure will leave you speechless. Book a trip now to experience this slice of heaven!